I have a monthly Drip. When do I receive funds? I have a per-paid post Drip. When do I receive funds? What details are included in my payouts section? 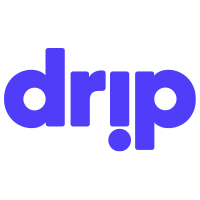 Drip charges a 5% fee on subscription payments, with an additional charge from our credit-card processor. This processing charge varies depending on the currency the creator's bank operates under. You can find these processing fees broken down per currency below. Note: Creators are responsible for all fees associated with running a Drip project.